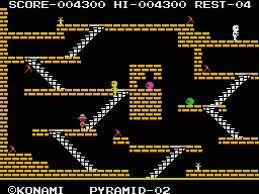 Keystone Kapers is a video game published by Activision for the Atari 2600 in April 1983, and later ported to the Atari 5200, Atari 8-bit family, ColecoVision, and MSX in 1984. Inspired by Mack Sennett's slapstick Keystone Cops series of silent films, the object of the game is for Officer Keystone Kelly (the player) to catch Harry Hooligan before he can escape from a department store. 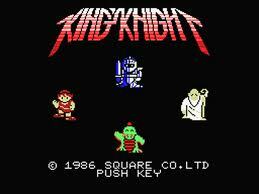 Knight Lore is a 1984 action-adventure game known for popularising isometric graphics in video games. 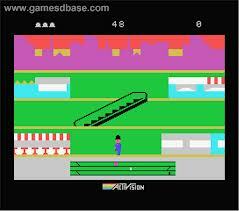 The game was developed and published by Ultimate Play the Game and written by company founders Chris and Tim Stamper. In Knight Lore, the player-character Sabreman has forty days to collect objects throughout a castle and brew a cure to his werewolf curse. 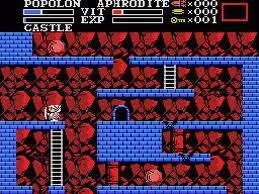 Each castle room is depicted in monochrome on its own screen and consists of blocks to climb, obstacles to avoid, and puzzles to solve. 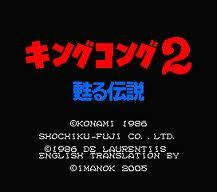 Ultimate released Knight Lore third in the Sabreman series despite having completed it first. The Stamper brothers withheld its release for a year to position the company advantageously in anticipation of the game's effect on the market. Knight Lore's novel image masking technique, Filmation, let images appear to pass atop and behind each other without their contents colliding. This created the illusion of depth priority, which the computer did not natively support. By delaying Knight Lore's release, Ultimate protected sales of their upcoming Sabre Wulf and created another Filmation game before other developers could copy the style. 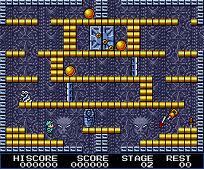 Ultimate released the original Sabreman trilogy in quick succession in 1984 for the ZX Spectrum. Knight Lore came last, in November. 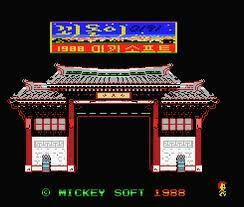 Ports followed for the BBC Micro, Amstrad CPC, MSX, and Famicom Disk System. The game was later included in compilations including Rare's 2015 Xbox One retrospective compilation, Rare Replay. Knight Lore is regarded as a seminal work in British gaming history and has been included in multiple lists of top Spectrum games. Critics considered its technical solutions and isometric 3D style a harbinger of future game design. They praised the game's controls and atmosphere of mystery, but noted its difficult gameplay and criticised its sound and occasional graphical slowdown. Knight Lore was the best-selling game of January 1985 and was named 1984 game of the year by the Golden Joystick Awards and Popular Computing Weekly readers. 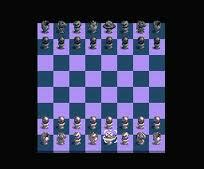 Though it was not the first isometric 3D video game, Knight Lore popularised the format. 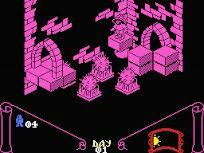 When the isometric, flip-screen style fell out of fashion, Knight Lore's influence persisted in computer role-playing games. 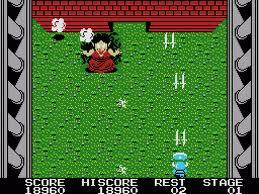 Retrospective reviewers remember the game as the first to offer an exploratory "world" rather than a flat surface, but consider its controls outdated and frustrating in the thirty years since its release. 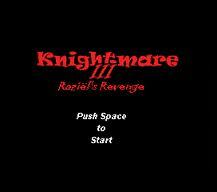 Knightmare 2 The Maze o..
Knightmare 2 The Maze of Gal..